Sovereign States Liberty Watch Group – Getting back to what they intended our way of government to be!!!! Getting back to what they intended our way of government to be!!!! Please see below an overview of the Income Tax laws leading up to the ratification of the Sixteenth Amendment as the powers that be would have us understand it. 16th Amendment to the U.S. Constitution: Federal Income Tax (1913)” “Passed by Congress on July 2, 1909, and ratified February 3, 1913, the 16th amendment established Congress’s right to impose a Federal income tax. Far-reaching in its social as well as its economic impact, the income tax amendment became part of the Constitution by a curious series of events culminating in a bit of political maneuvering that went awry. The financial requirements of the Civil War prompted the first American income tax in 1861. At first, Congress placed a flat 3-percent tax on all incomes over $800 and later modified this principle to include a graduated tax. Congress repealed the income tax in 1872, but the concept did not disappear. After the Civil War, the growing industrial and financial markets of the eastern United States generally prospered. But the farmers of the south and west suffered from low prices for their farm products, while they were forced to pay high prices for manufactured goods. Throughout the 1860s, 1870s, and 1880s, farmers formed such political organizations as the Grange, the Greenback Party, the National Farmers’ Alliance, and the People’s (Populist) Party. All of these groups advocated many reforms (see the Interstate Commerce Act) considered radical for the times, including a graduated income tax. In 1894, as part of a high tariff bill, Congress enacted a 2-percent tax on income over $4,000. The tax was almost immediately struck down by a five-to-four decision of the Supreme Court, even though the Court had upheld the constitutionality of the Civil War tax as recently as 1881. Although farm organizations denounced the Court’s decision as a prime example of the alliance of government and business against the farmer, a general return of prosperity around the turn of the century softened the demand for reform. Democratic Party Platforms under the leadership of three-time Presidential candidate William Jennings Bryan, however, consistently included an income tax plank, and the progressive wing of the Republican Party also espoused the concept. In 1909 progressives in Congress again attached a provision for an income tax to a tariff bill. Conservatives, hoping to kill the idea for good, proposed a constitutional amendment enacting such a tax; they believed an amendment would never receive ratification by three-fourths of the states. Much to their surprise, the amendment was ratified by one state legislature after another, and on February 25, 1913, with the certification by Secretary of State Philander C. Knox, the 16th amendment took effect. Below please find the fruits of many years of research pertaining to the constitutional authority for the U.S. Congress to tax the earnings of State citizens within the States of the Union. We will show you our sources for the information we offer on this site with a brief history of each. This will build a foundation upon which we build our presentment of information for our State Government Representatives and Senators. Our intention is to bring them face to face with the truth about the history and purpose of the Sixteenth Amendment and why it is their responsibility to see that that understanding is corrected ASAP!!!! SIXTEENTH AMENDMENT As it reads today. The Congress shall have power to lay and collect taxes on incomes, from whatever source derived, without apportionment among the several States, and without regard to any census or enumeration. As it should read. The Congress shall have power to lay and collect taxes on corporate incomes, from whatever source derived, without apportionment among the several States, and without regard to any census or enumeration. Presentment II – Chief Cornerstone and Building Block for Presentment of Information Regarding the History and Purpose of the Sixteenth Amendment. Why do you pay “Income Tax” on your earnings? Most people will respond like this. “Because I have To pay them.” But is that really the truth? financial well being as well as the financial well being of our State governments. If you decide that the fire is too hot or our goals are too risky for your “safe zone”, simply request to leave the group. Our second presentment of information is a joint resolution issued by the House of Representatives and the Senate of the U.S. Congress. This information is good for distribution to State legislatures and to the public at large. Lets take it to them!! supplements to such revised editions. As per this Joint Resolution, we are sharing this essential information revealed in the analysis and interpretation of United States Supreme Court cases giving meaning to and or interpreting the provisions of the Sixteenth Amendment to the Constitution for the United States of America. 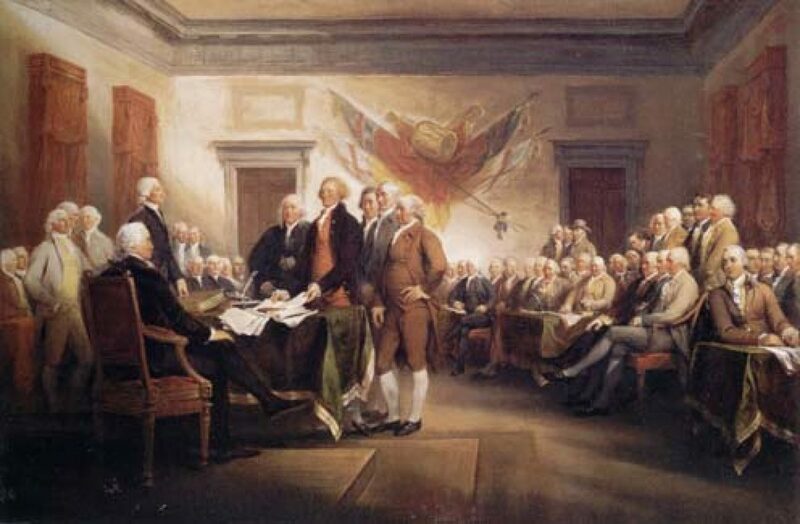 Author Jim IngramPosted on January 16, 2019 January 20, 2019 Leave a comment on Presentment II – Chief Cornerstone and Building Block for Presentment of Information Regarding the History and Purpose of the Sixteenth Amendment. Below please find an excerpt from ‘The Constitution of the United States of America, Analysis and Interpretation” that shows the History and Purpose of the Sixteenth Amendment to the Constitution of the United States of America, prepared by the Congressional Research Service at the request of a Joint Resolution of the House of Representatives and the Senate of the United States in Congress. A thorough examination will prove that the Income Tax is a tax on Corporate income rather than a tax on the earnings of State Citizens. Your State Representatives and Senators believe the Sixteenth Amendment gave Congress power to tax our earnings. The United States Supreme Court says otherwise!! The Congress shall have power to lay and collect taxes on incomes, from whatever source derived, without apportionment among the several States, and without regard to any census or enumeration. 1 157 U.S. 429 (1895); 158 U.S. 601 (1895). 2 Ch. 349, § 27, 28 Stat. 509, 553. 3. The Court conceded that taxes on incomes from “professions, trades, employments, or vocations” levied by this act were excise taxes and therefore valid. The entire statute, however, was voided on the ground that Congress never intended to permit the entire “burden of the tax to be borne by professions, trades, employments, or vocations” after real estate and personal property had been exempted, 158 U.S. at 635. 4 Springer v. United States, 102 U.S. 586 (1881). 5 Ch. 173, § 116, 13 Stat. 223, 281 (1864). 6 For an account of the Pollock decision, see “From the Hylton to the Pollock Case,” under Art. I, § 9, cl. 4, supra. 7 173 U.S. 509 (1899). 8 178 U.S. 41 (1900). 9 184 U.S. 608 (1902). 10 Flint v. Stone Tracy Co., 220 U.S. 107 (1911). 11 Brushaber v. Union Pac. R.R., 240 U.S. 1 (1916); Stanton v. Baltic Mining Co., 240 U.S. 103 (1916); Tyee Realty Co. v. Anderson, 240 U.S. 115 (1916). 12 Brushaber v. Union Pac. R.R., 240 U.S. 1, 18–19 (1916). 13 Stanton v. Baltic Mining Co., 240 U.S. 103, 112 (1916). 14 Stratton’s Independence, Ltd. v. Howbert, 231 U.S. 399 (1913); Doyle v. Mitchell Bros. Co., 247 U.S. 179 (1918). 15 Eisner v. Macomber, 252 U.S. 189, 207 (1920); Bowers v. Kerbaugh-Empire Co., 271 U.S. 170 (1926). Collect Taxes On Whose Income! Below please find excerpts from US Supreme Court Cases analyzed and interpreted by the Congressional Research Service for Senate Document 112 – 9 reflecting the true meaning of the term “Income” as it is used in the Sixteenth Amendment. Excise taxes are taxes “laid upon the manufacture, sale or consumption of commodities within the country, upon licenses to pursue certain occupations, and upon corporate privileges. ” Flint v. Stone Tracy Co., 220 U.S. 107, 31 S.Ct. 342, 349 (1911); or a tax on privileges, syn. “privilege tax”. The Supreme Court identifies that the constitutional justification for the corporate “income tax”, is as an indirect excise tax “imposed with respect to the doing of business in corporate form”, just as it has been defined under Flint two years earlier. “The Sixteenth Amendment must be construed in connection with the taxing clauses of the original Constitution and the effect attributed to them before the amendment was adopted. In Pollock v. Farmers’ Loan & Trust Co., 158 U.S. 601 , 15 Sup. Ct. 912, under the Act of August 27, 1894 (28 Stat. 509, 553, c. 349, 27), it was held that taxes upon rents and profits of real estate and upon returns from investments of personal property were in effect direct taxes upon the property from which such income arose, imposed by reason of ownership; and that Congress could not impose such taxes without apportioning them among the states according to population, as required by article 1, 2, cl. 3, and section 9, cl. 4, of the original Constitution. As repeatedly held, this did not extend the taxing power to new subjects (citizens of the States), but merely removed the necessity which otherwise might exist for an apportionment among the states of taxes laid on income. Brushaber v. Union Pacific R. R. Co., 240 U.S. 1 , 17-19, 36 Sup. Ct. 236, Ann. Cas. 1917B, 713, L. R. A. 1917D, 414; Stanton v. Baltic Mining Co., 240 U.S. 103 , 112 et seq., 36 Sup. Ct. 278; Peck & Co. v. Lowe, 247 U.S. 165, 172 , 173 S., 38 Sup. Ct. 432. 247 U.S. 179, 185 , 38 S. Sup. Ct. 467, 469 [62 L. Ed. 1054]), ‘Income may be defined as the gain derived from capital, from labor, or from both combined,’ provided it be understood to include profit gained through a sale or conversion of capital assets, to which it was applied in the Doyle Case, 247 U.S. 183, 185 , 38 S. Sup. Ct. 467, 469 (62 L. Ed. 1054). In Flint v. Stone Tracy Co. 220 U.S. 107, 165, 55 S.L. ed. 107, 419, 31 Sup. Ct. Rep. 342, 1912 B. 1312, it was held that Congress, in exercising the right to tax a legitimate subject of taxation as a franchise or privilege, was not debarred by the Constitution from measuring the taxation by the total income, although derived in part from property which, considered by itself, was not taxable.” Stratton ‘s Independence, Ltd. V. Howbert, 231 U.S. 399, 417. Please find below proof documents showing the authority of the Internal Revenue Service to enforce provisions of the Internal Revenue Code. If you have questions or comments please leave them in the “Comment” section for this post. The Internal Revenue Code (IRC) is the body of law that codifies all federal tax laws, including income, estate, gift, excise, alcohol, tobacco, and employment taxes. Jul 18, 2017. Please note that there are five different kinds of taxes, Subtitle A – E, and only one Procedure and Administration Subtitle, Subtitle F. How do we know which subsections of Subtitle F apply to each of the five different kinds of taxes? Federal tax law begins with the Internal Revenue Code (IRC), enacted by Congress in Title 26 of the United States Code (26 U.S.C.). Treasury regulations (26 C.F.R. )–commonly referred to as Federal tax regulations–pick up where the Internal Revenue Code (IRC) leaves off by providing the official interpretation of the IRC by the U.S. Department of the Treasury. 26 CFR 601.101 – Introduction. (a)General. The Internal Revenue Service is a bureau of the Department of the Treasury under the immediate direction of the Commissioner of Internal Revenue. The Commissioner has general superintendence of the assessment and collection of all taxes imposed by any law providing internal revenue. The Internal Revenue Service is the agency by which these functions are performed. Within an internal revenue district the internal revenue laws are administered by a district director of internal revenue. The Director, Foreign Operations District, administers the internal revenue laws applicable to taxpayers residing or doing business abroad, foreign taxpayers deriving income from sources within the United States, and taxpayers who are required to withhold tax on certain payments to nonresident aliens and foreign corporations, provided the books and records of those taxpayers are located outside the United States. For purposes of these procedural rules any reference to a district director or a district office includes the Director, Foreign Operations District, or the District Office, Foreign Operations District, if appropriate. Generally, the procedural rules of the Service are based on the Internal Revenue Code of 1939 and the Internal Revenue Code of 1954, and the procedural rules in this part apply to the taxes imposed by both Codes except to the extent specifically stated or where the procedure under one Code is incompatible with the procedure under the other Code. Reference to sections of the Code are references to the Internal Revenue Code of 1954, unless otherwise expressly indicated. (b)Scope. This part sets forth the procedural rules of the Internal Revenue Service respecting all taxes administered by the Service, and supersedes the previously published statement (26 CFR (1949 ed., Part 300-End) Parts 600 and 601) with respect to such procedural rules. Subpart A provides a descriptive statement of the general course and method by which the Service’s functions are channeled and determined, insofar as such functions relate generally to the assessment, collection, and enforcement of internal revenue taxes. Certain provisions special to particular taxes are separately described in Subpart D of this part. Conference and practice requirements of the Internal Revenue Service are contained in Subpart E of this part. Specific matters not generally involved in the assessment, collection, and enforcement functions are separately described in Subpart B of this part. A description of the rule making functions of the Department of the Treasury with respect to internal revenue tax matters is contained in Subpart F of this part.Subpart G of this part relates to matters of official record in the Internal Revenue Service and the extent to which records and documents are subject to publication or open to public inspection. This part does not contain a detailed discussion of the substantive provisions pertaining to any particular tax or the procedures relating thereto, and for such information it is necessary that reference be made to the applicable provisions of law and the regulations promulgated thereunder. The regulations relating to the taxes administered by the Service are contained in title 26 of the Code of Federal Regulations. If you want to determine which parts of the IRC the IRS has authority to administer, you must first determine where the regulations for that section of the IRC are found. If the regulations are not found in Title 26 of the Code of Federal Regulations then the IRS has no authority to administer that section. The Parallel Table of Authorities and Rules will allow you to determine which Sections of the IRC the IRS has authority to enforce. The column at the left is the Subsection of the Internal Revenue Code (IRC) in question. The center column shows the Code of Federal Regulations (CFR) Title that interprets the corresponding section of the IRC. The column to the right shows the part of the CFR Title that relates to the IRC Subsection in question. Please note that there are five different kinds of taxes listed on the Internal Revenue Code 1st page, found on the “About” page, Subtitle A – E, and only one Procedure and Administration Subtitle, Subtitle F. How do we know which subsections of Subtitle F relate to the taxes that are administered by the Internal Revenue Service (IRS) and which subsections apply to each of the five different kinds of taxes? According to the Internal Revenue Service Federal Tax Law begins with the Internal Revenue Code, enacted by Congress in Title 26 of the United States Code. They also tell us that the Code of Federal Regulations is the official interpretation of the Internal Revenue Code by the U.S. Department of the Treasury. If we want to inquire about the meaning or the true intent of a section of the IRC, we must turn to the Code of Federal Regulations (CFR) that gives the true intent of that section. If we need to know which bureau of the Department of the Treasury has authority to enforce that particular section, we must turn to the CFR. In other words, if the IRS has authority to administer a code section, its regulation will be found in Title 26 of the Code of Federal Regulations. We can say the same thing in another way – If the IRS gives a section of the IRC as their authority to take action and its regulation is not found in Title 26, CFR, it is attempting to take action that it has no authority to take. Please find below Sections of the IRC that the IRS gives as their authority to take actions in the process of collecting Income Taxes from the citizens of the States in the Union. I am listing the IRC Section, Description and CFR Title giving the regulations for that Section of the IRC. Please check the Table of Parallel Authorities in Presentment VIII to verify the following. As you can see, the sections of the IRC that the IRS gives as its authority to take the collection actions against the citizens of the States in the Union are not found in CFR Title 26. To understand the true meaning of the IRC sections listed above we must read the Sections of CFR Title 27 that relate to that IRC Section. You will see that they do not apply to the citizens of the Stats unless they are dealing in Alcohol, Tobacco or Firearms. Everything you need to know to verify this presentment of information is listed on this site in Presentment VIII. If you have trouble understanding this presentment of information, post your concerns on the “Comment” section. Presentment VII – Why should the State Governments Address the Unconstitutional Federal Income Taxation of Their Citizens Earnings? In order to answer this question we will review the history and purpose of the Sixteenth Amendment. The Internal Revenue Service tells us that the U. S. Congress passed the Income Tax Act of 1894 but the Supreme Court ruled it Unconstitutional in 1895. They also make mention that the Sixteenth Amendment was ratified in 1913 and provided for an income tax to be collected. They did not give any details about the proceedings leading up to its ratification nor did they give us the definition of the Term “Income”. The true understanding of the meaning of “income” will go a long way in helping us to understand the true meaning the Sixteenth Amendment. Following a Joint Resolution of the House of Representatives and the Senate of the United States, the Congressional Research Service (CRS) analyzed and interpreted all of the U. S. Supreme Court cases regarding the Sixteenth Amendment to the Constitution for the United States of America. According to the CRS “the ratiﬁcation of the Sixteenth Amendment was the direct consequence of the Court’s 1895 decision in Pollock v. Farmers’ Loan & Trust Co. holding unconstitutional Congress’s attempt of the previous year to tax incomes uniformly throughout the United States. A tax on incomes derived from property, the Court declared, was a “direct tax,” which Congress, under the terms of Article I, § 2, and § 9, could impose only by the rule of apportionment according to population.” The Internal Revenue Code contains no provisions for an apportionment among the States. After a series of decisions the Supreme Court found it possible to allow an excise (indirect) tax on the privilege of doing business in corporate form with the amount of the tax being based on the amount of corporate income received from that corporate activity, no matter what the source of the income may be. Congress has always had the power to lay excise taxes from the beginning. As we can see, the Sixteenth Amendment did not give Congress any new taxing power. The Income Tax is a tax on the privilege of doing business in corporate form. What it did do was that it prevented Congress from taxing income derived from property because of ownership. Our earnings are our property and can not be taxed! Regarding the definition of the term “income”, building upon deﬁnitions formulated in cases that gave the meaning of or the interpretation of the Corporation Tax Act of 1909, the Court initially described income as the “gain derived from capital, from labor, or from both combined,” inclusive of the “proﬁt gained through a sale or conversion of capital assets” by corporations. To address the question of why should the State governments step in and prevent the unconstitutional taxing of their citizens earnings, we must take a look at the U. S. Supreme Court case McCulloch v. Maryland. In this case the State of Maryland wanted to tax United States chartered banks doing business in Maryland. The United States objected and it went to the Supreme Court. In order to settle the dispute the Court had to define the taxing power of both the United States and the States. Has that happened in any of the States in the Union? Is there any of them that doesn’t rely on the federal government to make ends meet? In plain simple terms, when the Federal Government taxes the corporations of a State, it taxes its citizens indirectly. Let us examine these words of the Court. How does the unconstitutional taxing of State citizens’ earnings effect the revenue of the States and deprive the States of the means of providing for their own necessities? If all the money that now goes to Washington in the form of Income Taxes on individuals earnings stayed in the States where it comes from where would it be spent? No doubt it would be spent in that State. How mush revenue would that extra money circulating within the States generate for the States in sales taxes and other taxes that would receive a boost from extra money in circulation. I can answer that for you. It would generate enough so that the States would not have to go begging for money from the federal government to make ends meet. That, my friends, is why the State governments must stand up and put an end to the unconstitutional taxing of our earnings. It would multiply the buying power for the consumers by billions and free the States from the general government’s overreach. Author Jim IngramPosted on January 16, 2019 January 20, 2019 Leave a comment on Presentment VII – Why should the State Governments Address the Unconstitutional Federal Income Taxation of Their Citizens Earnings? Sovereign States Liberty Watch Group Blog at WordPress.com.